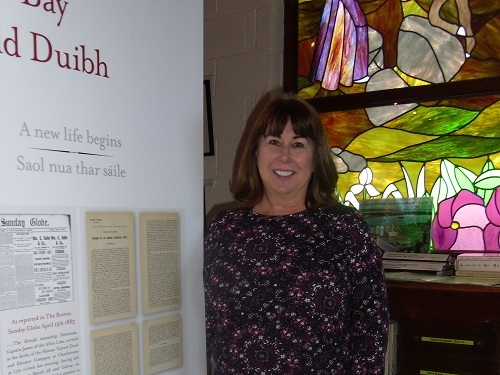 It was a pleasure to have met Barbara (Coristine) Klein on the 4th November 2016 at Ionad Deirbhile Heritage Centre, Aughleam, Belmullet, Co Mayo. Barbara and husband James made the journey back to Blacksod and Doolough in Erris, from California. Thanks to Gerry Coyle. Mayo County Council, also from Doolough for showing Barbara & James around Doolough. We had a fabulous time. Thank you Rosemarie and all at the museum. Gerry was a terrific tour guide. I hope to bring my brothers, daughters and cousins to Belmullet and Doolough. Hoping to explore the area to gain a greater understanding of our heritage.